A little over a year after the 2017 Las Vegas Shooting, the Trump Administration has placed a ban on bump stocks. The Vegas shooter used a bump stock on the firearm used in the shootings. 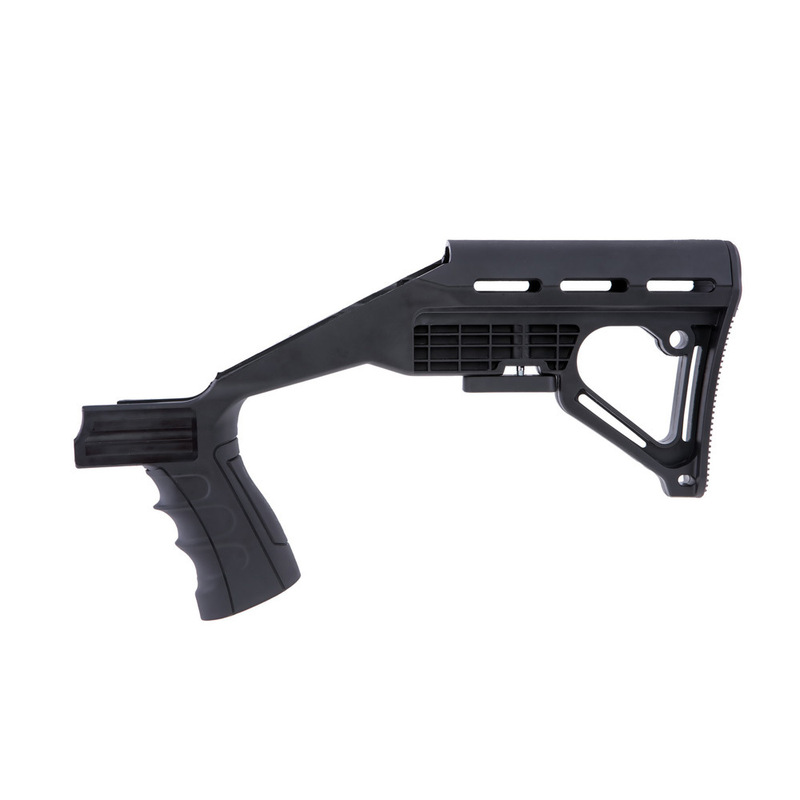 The Bureau of Alcohol, Tobacco, Firearms, and Explosives (ATF), an agency of the Department of Justice, released a final ruling on December 18 banning the use of "bump-stock-type devices." These stocks gained attention from politicians, national media and community leaders in the U.S. after the 2017 Las Vegas shooting, which killed 58 people attending a country music concert. The shooter, Stephen Paddock, 64, used a bump-fire stock on the semi-automatic rifle used in the shooting. "The Department of Justice is amending the regulations of the Bureau of Alcohol, Tobacco, Firearms, and Explosives (ATF) to clarify that bump-stock-type devices — meaning "bump fire" stocks, slide-fire devices, and devices with certain similar characteristics — are "machineguns" as defined by the National Firearms Act of 1934 and the Gun Control Act of 1968 because such devices allow a shooter of a semiautomatic firearm to initiate a continuous firing cycle with a single pull of the trigger. "Specifically, these devices convert an otherwise semiautomatic firearm into a machinegun by functioning as a self-acting or self-regulating mechanism that harnesses the recoil energy of the semiautomatic firearm in a manner that allows the trigger to reset and continue firing without additional physical manipulation of the trigger by the shooter." This amendment was made to what is known as the Gun Control Act. The Act, as amended, "makes it unlawful for any person to transfer or possess a machinegun unless it was lawfully possessed prior to the effective date of the statute." "Despite the fact that the Obama administration approved the sale of bump fire stocks on at least two occasions, the National Rifle Association is calling on the Bureau of Alcohol, Tobacco, Firearms and Explosives (BATFE) to immediately review whether these devices comply with federal law. The NRA believes that devices designed to allow semi-automatic rifles to function like fully-automatic rifles should be subject to additional regulations." In the wake of the ban, The Washington Post is reporting that the NRA is disappointed with the Trump administration's plan. "Spokeswoman Jennifer Baker says the Justice Department should provide amnesty for gun owners who already have the devices. Baker says the regulation 'fails to address the thousands of law-abiding Americans' who followed the government’s previous guidance." In 2017, it was reported that YouTube banned bump stock instructional videos. And prior to that ban and numerous calls by political leaders and pundits to ban the device itself, some celebrities called for gun regulation in the aftermath of the Vegas shooting. However, in this case, many of the celebrities making statements were those baked into the pop culture that's often embraced by conservatives, such as those headlining the country music scene. The Washington Examiner, a political weekly magazine known for its conservative stance, agrees the ban on bump stocks makes sense. "The federal government goes to great lengths to restrict the availability of machine guns," says the Examiner's Philip Klein in an article published hours after the federal ruling. "It is illegal to own any fully automatic gun manufactured after 1986, and acquiring one manufactured before that is typically prohibitively time consuming and expensive and requires significant background checks and registration. "Given how much effort the ATF goes through to restrict machine guns, it makes sense that it would also ban parts such as bump stocks that can allow a relative novice to turn a semi-automatic gun into a weapon that roughly approximates a machine gun." Yet, Klein concedes the move won't have much effect on mass shootings. "In nearly all cases," he says, "bump stocks would be pretty useless as they make guns a lot less accurate."